First thing I noticed was that the mouse wheel zooming was not working, the +/- zoom buttons (top left corner, never noticed them before!) work fine. But even worse, it's crashing the Adobe/Shockwave Flash plugin so that no reliable editing is possible. To crash it, just click anywhere away from an object! I'm running on Linux Mint 17.3 (Ubuntu 14.x derived OS), Flash plugin is 26.0.0.131 (but I retried 25.0 which worked fine before and it's the same), Firefox 54 (64 bit). I can confirm both issues, mouse wheel is not working and it is reliably crashing when clicking anywhere on the background. Firefox 54.0 on Ubuntu 16.10, 64bit. On Chrome, everything seems to work ok, so this might be Firefox specific. Also, my middle mouse wheel not working on that site. Before... it worked. EDIT : i dont use potlatch, i use JOSM . Works for me in Firefox 54.0 on Windows 7. "about:plugins" shows "Shockwave Flash 26.0 r0"
OK, i installed Firefox ESR next to my 'other' firefox, and i see that this ESR firefox has a 'Next Generation Java Plug-in 11.131.2 for Mozilla browsers' included. and i see that this ESR firefox has a 'Next Generation Java Plug-in 11.131.2 for Mozilla browsers' included. Not sure why a Java Plugin should be relevant for Flash. Seems like you're jumping to conclusions here. Is here somebody who has ubuntu gnome to test above problems ? Cebderby has done some great detective work at https://bugzilla.mozilla.org/show_bug.cgi?id=1374559 - currently seems to be waiting on a Firefox dev to help, but it looks 100% like a Firefox issue rather than anything else. I was waiting too long for this. 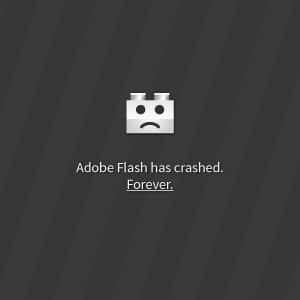 RIP Flash Player. But Adobe AIR lives on. It'll be good for OSM to finally have a decent desktop editor.